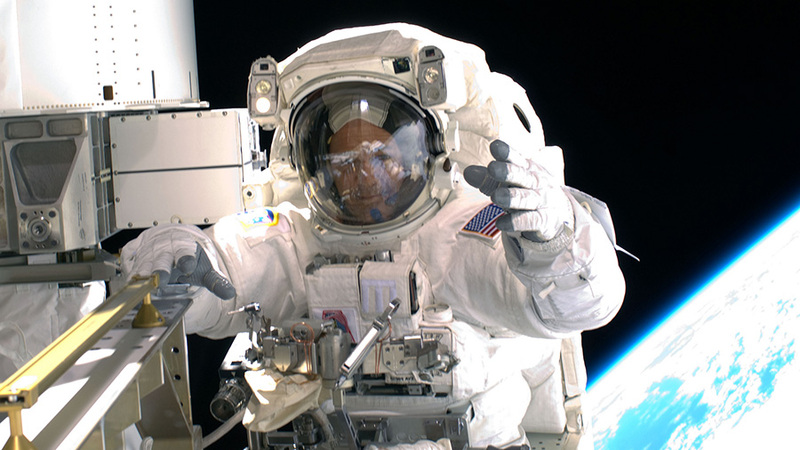 Astronaut Ricky Arnold is pictured during a spacewalk in March of 2009 at the International Space Station. Arnold was visiting the station as an STS-119 mission specialist aboard space shuttle Discovery. Veteran NASA astronauts Drew Feustel and Ricky Arnold will head outside the International Space Station at approximately 8 a.m. EDT Thursday to begin a 6.5-hour spacewalk. Live coverage will be available on NASA Television and the agency’s website beginning at 6:30 a.m.
During Thursday’s spacewalk, Feustel and Arnold will install wireless communications antennas on the Tranquility module, replace a camera system on the port truss and remove suspect hoses from a cooling system. This will be the 209th spacewalk in support of space station assembly and maintenance.